Mark Zuckerberg's personal artificial intelligence is already toast...ing his bread. Since January, the Facebook founder and CEO has been working on an AI to help him at home and with work. "You can think of it kind of like Jarvis in Iron Man," he wrote on Facebook in January. 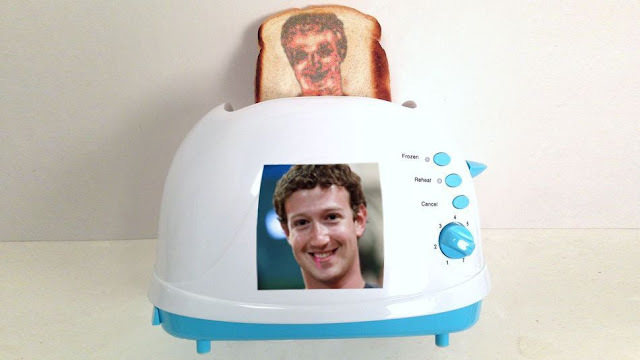 Now, in an interview with The Verge on Facebook's next decade, Zuckerberg revealed that's he's made real progress with the AI and that "it can make me toast." It's an early, and slightly oddball breakthrough, in Zuckerberg's stated quest to use his voice to control everything in his home. To get to that point, Zuckerberg wrote of his plans in January, that, after exploring existing technologies, he would train automation tools to know his voice, identify friends faces and keep an eye on his daughter Max's room. However, before you start imaging a humanoid robot taking bread out of a bag, putting it in the toaster and then pushing the lever down, Zuckerberg explained in the interview that the solution is far more mundane. "You hook up an internet-powered [device] to the power and you trigger it," Zuckerberg told The Verge. In other words, Zuckerberg leaves some soon-to-be stale bread in the toaster and, here's the cool part, programmed his AI to know where he is and what he's doing so it knows the right time to toast the bread. Zuckerberg also noted that he's using many of the AI tools currently being developed by Facebook for its own projects to program the AI, which can already control the temperature and lighting in his home. The interview touches on a number of forward-leaning initiatives Facebook currently has underway, including AI, Messenger bots, virtual reality and Internet.org-related projects like the recent, successful test-flight of the giant solar-powered Aquila drone. The massive, slow-flying craft is designed to bring internet access to billions of disconnected people around the world. "[We’re] on the path to breaking the world record for the longest UAV flight in history," Zuckerberg told The Verge. The most intriguing part of the interview, though, may be that Zuckerberg said he is close to being ready to publicly demo his AI. Wonder if it will start by making toast.